They are the men who made the game great - the superstars who captivated not just the fans of their clubs but the whole country. They are the top strikers, the lethal goalscorers, the midfield magicians and dynamos; the defensive rocks and the inspirational leaders; the cult heroes, dazzling wingers, hardest of hardmen, and proven winners. Footballers who were so good they lived up to the old cliche - it was worth the entrance money alone just to watch them play. When Football Was Football - Legends selects and showcases 40 of the greatest footballers to grace the pitches of the English game. In a series of wonderful profiles, it celebrates the outstanding players of the sport, and marks their impact on their clubs and the wider game. Focusing on the greats of the last half century or so, and a time before the Premier League, it charts their careers and achievements, showing just what it was what made them so special. Using superb photographs from the archives of the Daily Mirror, this book illustrates not just the legends’ sporting prowess, but their life away from the glare of the floodlights, or the rapt attention of the watching thousands. Here are the great players behind the scenes, as seen in a series of exceptional photos, many never before published. 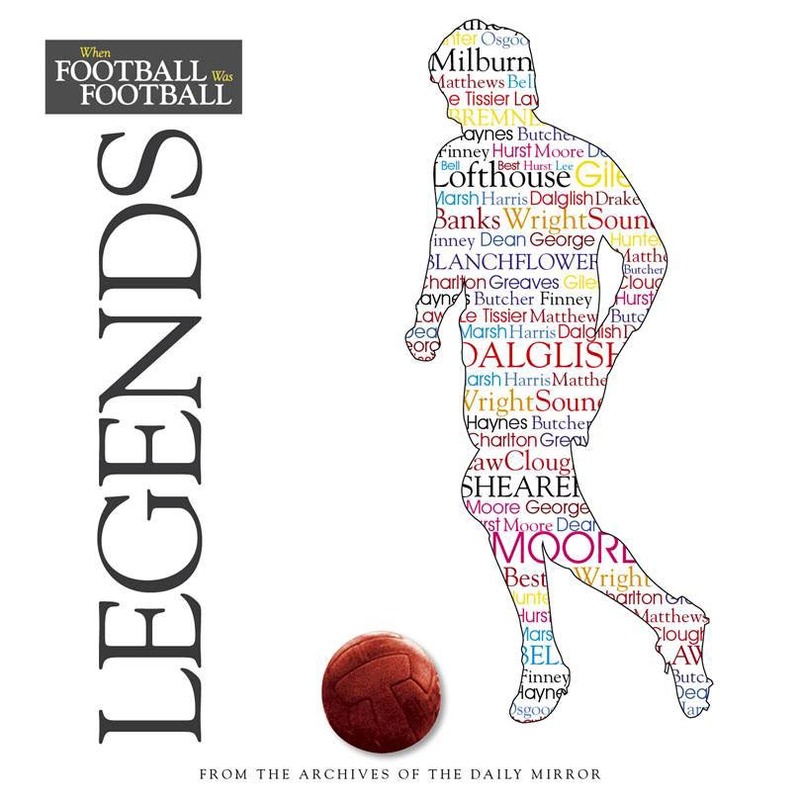 From Best to Barnes, Blanchflower to Bell, George to Giggs and across the clubs, this is a wonderful reflection on the true greats of the game... from a time when football provided so many legends deserving of the name.